UNICEF has expressed alarming concern over 70,000 births going unrecorded during the Ebola crisis in the Western African nation this year. What’s more concerning is the fact that these children are without any healthcare, and might be subject to human trafficking. With clear objectives to bring the outbreak under control, UNICEF has expressed anguish over the fact that Just 700 births were reported in the first five months of this year. However, as a slight exception to the derived fact, there is no data to show if the intense spread of the virus — passed from human to human via bodily fluids — led to a decline in actual births, which might explain in part the drop in registrations. 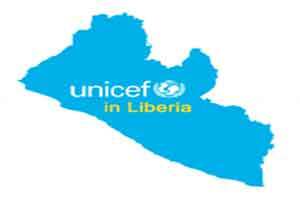 UNICEF has joined hands with the Liberia government to help rebuild its shattered health services, and to reach all babies not registered during the epidemic is a part of the government campaign later this year. Ebola has infected almost 28,000 people and killed nearly 11,300 across Liberia and its neighbours Guinea and Sierra Leone, according to official data widely thought to underestimate the real toll. The highly-infectious tropical fever emerged in Guinea in December 2013, spreading across the border and killing 4,800 Liberians before the country was finally declared free of transmission on May 9. It lost its “Ebola free” status, however, when a 17-year-old died in the coastal county of Margibi at the end of June after passing the virus on to five others, one of whom also died. The country currently has no known cases, while the number of infections each has dropped to just a handful in Guinea and Sierra Leone.